During the bloodiest conflict the United States has ever known, the clothing of men, women, and children changed little as the country was consumed by war. 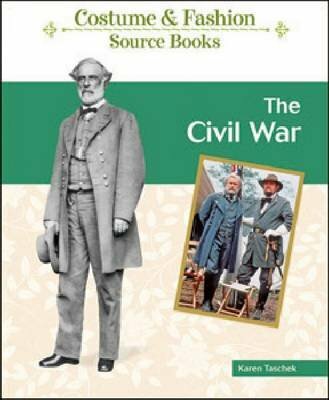 Complete with ample sidebars, ""The Civil War"" gives readers the necessary background about this tumultuous time in American history so they can understand how clothing, from hooped skirts to army uniforms, differed by region and by class. Photographs from movies, including ""Gone with the Wind"", illustrate various popular types of clothing worn.The chapters include: War Begins, Antebellum and Civil War Dress: Women, Antebellum and Civil War Dress: Men and Children, Southern Uniforms, Northern Uniforms, Slaves' Clothes, The Blockade of the South, and The North's Victory and Reconstruction.